The sales assistant’s disability is a result of a road traffic accident. A STORE MANAGER at a discount retail chain shared three recordings of a disabled employee at work in a staff WhatsApp group for the ‘merriment’ of colleagues. In the case, the Workplace Relations Commission (WRC) has ordered that the Irish-owned Mr Price Branded Bargains pay €7,500 in compensation to the employee in a discrimination case brought by the man under the Employment Equality Act. The sales assistant’s disability arises from a road traffic accident in 2004 where he sustained an acquired brain injury resulting in reduced motor skills. 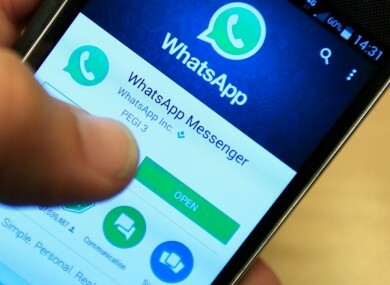 On becoming aware on 1 December 2015 of the circulated videos in a work WhatsApp group, the unnamed worker became traumatised and had to go on work-related stress leave and hasn’t returned to work since. Ray Flaherty, the adjudication officer in the case, found that three video recordings of the man at work were shared by the store manager with staff “who had no operational need or entitlement to review the material”. Flaherty stated that it is also clear from the footage “that the recordings of the complainant gave rise to some merriment among those who were viewing it”. It is clear from viewing the recordings that not only was the complainant discriminated against on the grounds of his disability, but his basic right, and that of any employee, able or disabled, to the provision of dignity at work was seriously undermined. Originally employed at Mr Price on a supported employment scheme, the man only became aware of the recordings – made on 12 and 14 August and 5 September 2015 – from a former colleague who had since left Mr Price. Mr Price Branded Bargains stated that one recording showed the complainant conversing with a customer and a second recording showed the man behaving in a manner, on the shop floor, which posed a health and safety risk for himself and others. At the WRC hearing in Limerick, the man said he was extremely upset when the circulation of the videos was brought to his attention. His legal representative told the hearing his client was victimised and harassed in the workplace culminating in the incident of the circulation of videos of him by the store manager for the general merriment of staff. In her evidence, the store manager said she recorded the company CCTV footage from her personal phone as her work phone wasn’t working and the footage was to be sent to the human resources manager and the area manager. The store manager stated that, unfortunately, when sending it she pressed the wrong number on the phone and sent it instead to another staff member. The store manager stated that this was the only occasion on which CCTV video footage of the complainant was circulated. According to a submission from Mr Price, the store manager had always previously kept the area manager aware of the complainant’s performance and by way of illustration she had sent example CCTV clips to him for review. Mr Price Branded Bargains told the hearing that when the complainant brought the video footage to the company’s attention, the firm apologised and disciplined the store manager. In his ruling, Flaherty stated: “While there is a certain plausibility, in relation to the store manager’s account of how one recording was inadvertently shared with another staff member, there were clearly two other recordings, which were similarly shared and for which no explanation was provided. Even in the event that those responsible were in a position to provide explanations for all three instances where the recordings were shared, it cannot be seen to justify what happened and, in particular, the impact on the complainant. The man also claimed that Mr Price Branded Bargains failed to make reasonable accommodation for his disability. However, Flaherty found that Mr Price took reasonable and appropriate steps to facilitate and accommodate him. Mr Price Branded Bagains operates 37 stores across the country and a spokeswoman for the firm stated yesterday: “Mr Price Branded Bargains is an equal opportunities employer who employs approximately 700 people throughout Ireland. Our staff are very important to us and we make all reasonable accommodations to assist them in their career with Mr. Price. Miriam McGillycuddy, the Kerry-based solicitor for the man, declined to comment. Read: From reluctant Taoiseach to reluctant ex-Taoiseach: What is Enda’s political legacy? Email “Store manager shared videos of disabled employee in WhatsApp group for 'merriment'”. Feedback on “Store manager shared videos of disabled employee in WhatsApp group for 'merriment'”.